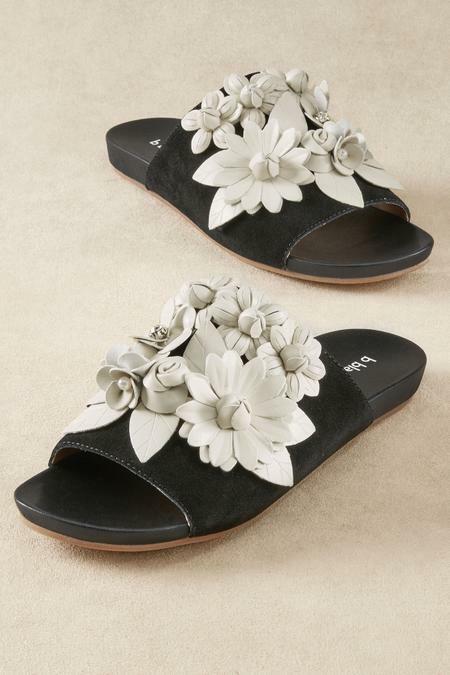 Rising to the level of wearable foot art, this eye-catching slide wows with a creative array of faux leather florals topping a rich, deep-black genuine leather upper wrap. A great statement shoe to have in your seasonal mix. Faux leather lining and sole. 1/2" heel.